WHAT IS IT? 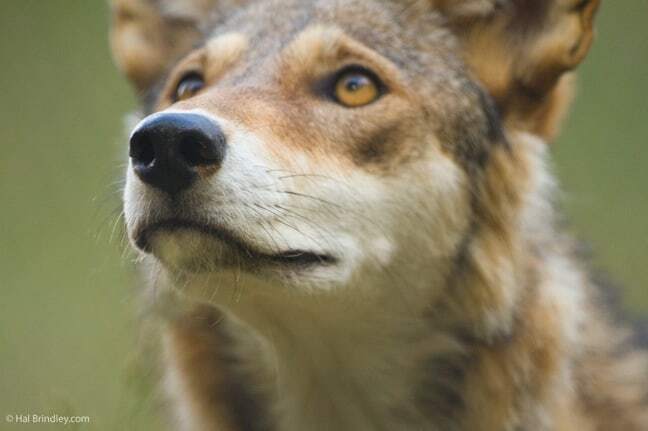 One of the most endangered canids in the world, the Red Wolf is found in the wild only in the national wildlife refuges and adjacent private property of a 1.7 million acre restoration area in northeastern North Carolina. Smaller than a grey wolf but larger than a coyote, the red wolf weighs 50-80 pounds and measures 4 to 5 feet from the tip of the nose to the base of the tail. With long legs, their height at the shoulder is about 26 inches. Their color varies from dark grey to grey mixed with beige, cinnamon and black, often with red coloration on their long ears, neck and the back of their legs. They live in packs, consisting of a breeding pair and their offspring. In April or May, 3 to 5 red wolf pups are born. They hunt alone or in pairs and feed on a variety of prey such as white-tailed deer, raccoons, marsh rabbits, nutria and small rodents. Their lifespan can be up to 15 years in captivity, but in the wild it is rarely longer than 6-7 years. WHY ARE THEY ENDANGERED? 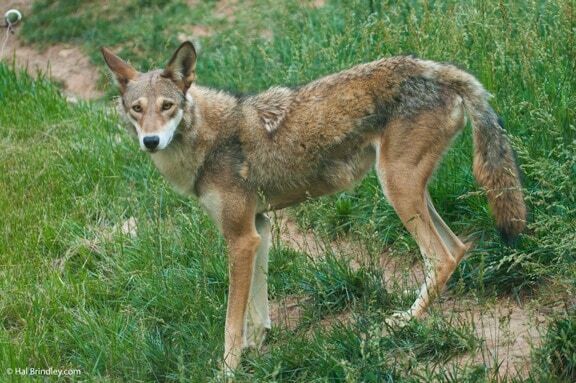 The Red Wolf was once common in the eastern and south-central United States. Due to an intensive predator control program and the decimation of wolf habitat, the population was almost wiped out by the beginning of the 20th century. Currently the only wild population lives in a small area in North Carolina. Because of this isolation, they’re very vulnerable to diseases like mange, heartworm and hookworm. Hybridization with coyotes is currently their biggest threat, as the Southeastern U.S. coyote population is expanding rapidly. The problem is being addressed by aggressive coyote control operations. Sadly, this is a double-edge sword for Red Wolf restoration. As recent as May 2012, the NC Wildlife Resources Commission started implementing a rule that would allow the hunting of coyote and feral swine (both non-native to North Carolina) at night. The rule still has to go to Legislature for approval but, if it passes, it would be a huge setback for Red Wolves, which are often mistaken for coyotes and shot. Nighttime hunting would likely only increase their mortality rate.